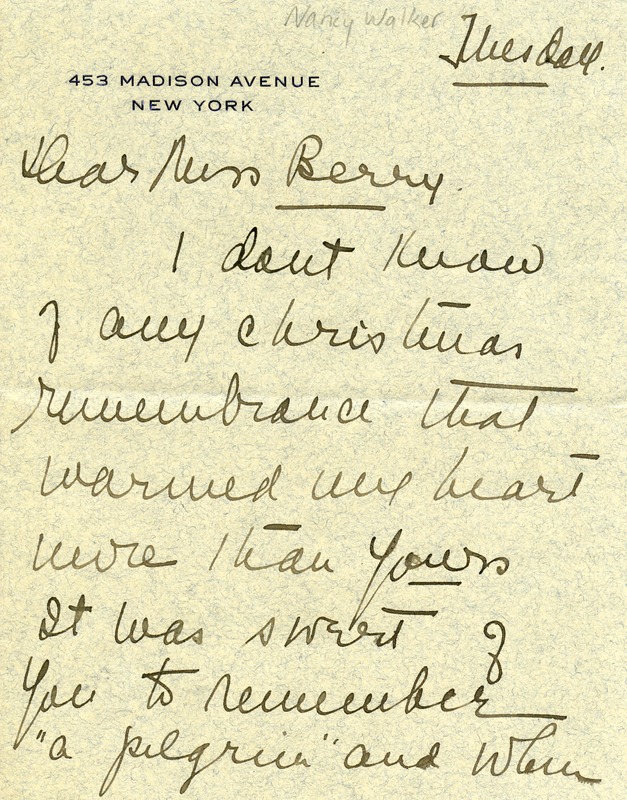 Reply to Martha Berry's "Christian remembrance" thanking her for remembering a pilgrim. Mentions she will see Martha Berry in April. Sends wishes to Mr. Greene and every Berry boy and girl for the new year. 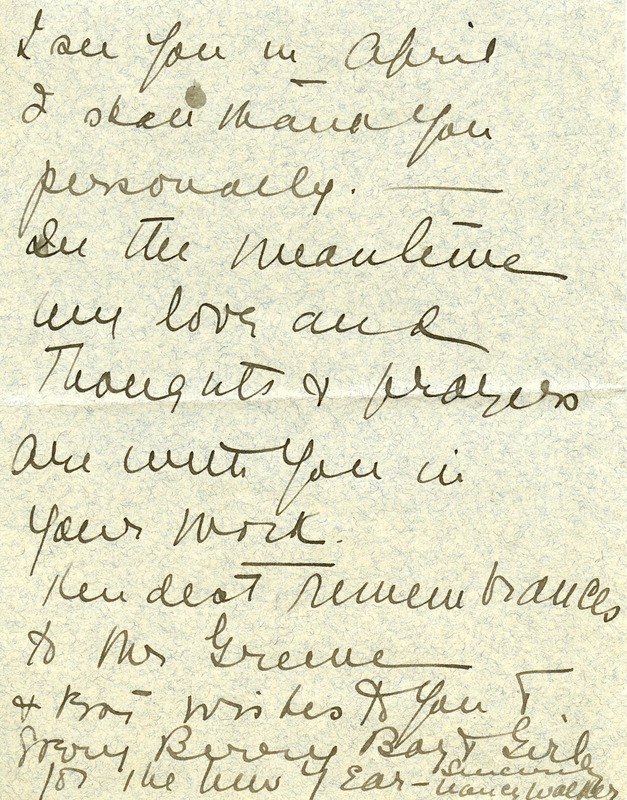 Nancy Walker, “Letter to Martha Berry from Nancy Walker.” Martha Berry Digital Archive. Eds. Schlitz, Stephanie A., Chelsea Risley, Ellen Johnson, et al. Mount Berry: Berry College, 2012. accessed April 18, 2019, https://mbda.berry.edu/items/show/5993.